BAKU, Azerbaijan (AP) — Azerbaijan's president on Friday vehemently defended his pardon of a military officer who murdered an Armenian officer with an ax, a decision that has drawn strong international criticism. 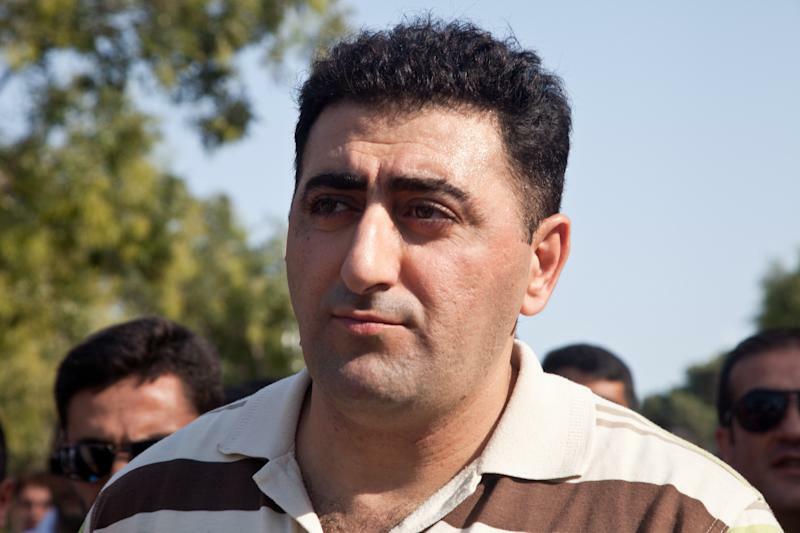 Last week's pardon of Ramil Safarov has aggravated tensions between the two countries and raised concerns about resumption of fighting over a separatist region of Azerbaijan that has been under Armenian control since 1994. Safarov killed the Armenian in 2004 while both were in Hungary on a NATO language course. He was sentenced to life imprisonment, but Hungary repatriated him, saying Azerbaijan promised that he would serve out his sentence at home. But Safarov was pardoned immediately by Azerbaijani President Ilham Aliev upon his arrival in Azerbaijan's capital of Baku. He was even promoted from lieutenant to major and given back wages for the years he spent in Hungarian custody. Aliev told a news conference Friday the pardon was allowed by the constitution and that "the decision to pardon him is correct from the legal viewpoint and is well-founded." The U.N.'s top human rights official, meanwhile, strongly criticized the pardon for Safarov. U.N. High Commissioner for Human Rights Navi Pillay's spokesman, Rupert Colville, told reporters Friday in Geneva that "ethnically motivated hate crimes of this gravity should be deplored and properly punished." He added the U.N. hopes this won't harm efforts to end the dispute between ex-Soviet neighbors Azerbaijan and Armenia over the Nagorno-Karabakh territory. Aliev's pardon of Safarov has angered Armenia and raised concerns about a possible resumption of hostilities. The Nagorno-Karabakh region of Azerbaijan and some adjacent territory has been under the control of Armenian troops and local ethnic Armenian forces since a 1994 cease-fire. That agreement ended a six-year war that killed an estimated 30,000 people and drove about 1 million from their homes.